The 2018 MLB playoffs started on October 2 and continues throughout the month of October. 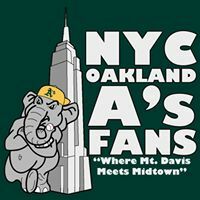 In the American League, the New York Yankees beat the Oakland A’s in the Wild Card game, and then lost to The Boston Red Sox in the AL Division Series (ALDS). The Houston Astros beat the Cleveland Indians in the other ALDS. Boston beat Houston in the American League Championship Series (ALCS) and advance to the World Series. In the National League, the Colorado Rockies beat the Chicago Cubs the Wild Card game. They lost to Milwaukee Brewers in the National League Division Series (NLDS). The Los Angeles Dodgers beat the Atlanta Braves in the other NLDS. The Dodgers beat The Brewers in 7 games to advance to the World Series, which starts October 23. Watch the action at your favorite NY sports bar: Check out the MurphGuide directory of NYC sports bars. L.A. Dodgers at Boston Red Sox – time t.b.a. 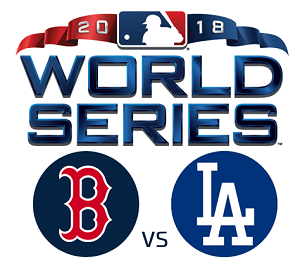 Boston Red Sox at L.A. Dodgers – time t.b.a. Kettle of Fish is a notorious Green Bay Packers supporters bar. They are hosting game watch parties for Milwaukee Brewers fans. Professor Thom’s is headquarters for all New England sports. The Big Apple Browns Backers are hosting Cleveland Indians game watch parties during the playoffs at Brother Jimmy’s in Murray Hill. Every game will be shown (except Sat. Oct. 6, when they will watch at Village Tavern. Village Tavern: 46 Bedford St. (Seventh Ave.) New York, NY. Check out the MurphGuide directory of NYC sports bars.